When Life Goes Not Good, Not Good at all! I love Annie’s all-chocolate graham cracker bunnies and only the all-chocolate graham cracker bunnies. Why is she telling us this? I promise there will be a good point. Why is she eating something so childish as that? Because I try to pretend my kids love them. So, sometimes, with these all-chocolate graham bunnies, they run out of stock (probably because they are so amazing). Then I have to settle for the mixed bag – with vanilla and chocolate chips. I try to pick out my favorites. But, my all-time fave bunnies, well, they don’t taste the same- the other flavors rub off on them. Almost every time, after I do that, I vow not to buy that mixed bag again. But, yesterday, I did. My sugar craving won over bad memories. What if I saw things differently? but not an all-together bad plan? I open myself up to delight in these bunnies as they are – in a new way? They won’t be as flavorful as before, but different. They won’t crunch exactly the same, but different. They won’t be my all-chocolate bunnies; but different. I crunched, munched and considered them a whole bunch…and by golly, I liked them. I really liked them. I do like green egg and ham, or rather the vanilla-coated chocolate bunnies in my hand. I would have failed to grasp the joy present in the moment. How might you need to see things from a new angle? 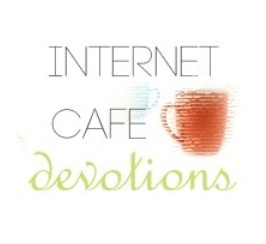 What might God be prompting you to let go of – so you can grab hold of – a new view? Times change. People move on. Days look different. Life evolves, turns and seasons change. And what I find can be the hardest thing to contend with are good times, gone. Good memories, lost. Good laughs, evaporated. What is it you are still grasping for – that is long gone? Might you consider a new angle? Perhaps what is good is gone, because what is great – is coming. When we look at a job as dead-end, we miss the little path God has jutting out to a new opportunity. 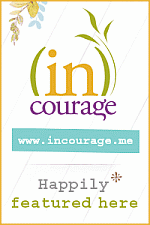 When we see a marriage as failed, we miss the rail that leans us onto God’s great love. When we see finances as doomed, we miss the door God wants to open to save us. When we see our anxiety as endless, we miss the small prompting of new life God calls us to. When we see life only as overwhelming, we miss the wind of God directing us where to go. Maybe something has taken new form because God wants your heart to take new form. Might God be doing “a new thing”? Am I open armed or closed armed to his movement? or will I walk against his wind, trying to step back into an old story? Friends, I know it is hard. I hate it too. I stomp my feet, I chide change and I turn my back on things outside of comfortable. But, I am going to assure you – and me – we are not sitting with a mixed bag of blah. What we are sitting with is a bag of blessings. God is moving us into spiritual progress, greater spiritual blessings. There is fullness God so desires we enjoy. 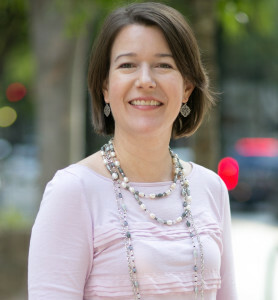 I am delighted to welcome Sheree DeCouto from Fellowship Bible Church in Roswell, GA to Women’s Ministry Monday. 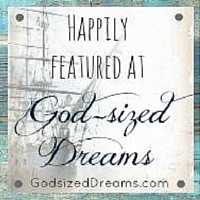 Sheree’s words encourage my heart – even our best dreams, can still be difficult. Is it just me, or have you ever wondered what happened after Cinderella and Prince Charming rode off into the sunset? As a little girl I bought the “happily ever after” ending hook line and sinker; as a grown woman I’ve learned that palace life doesn’t always turn out to be what I expected. 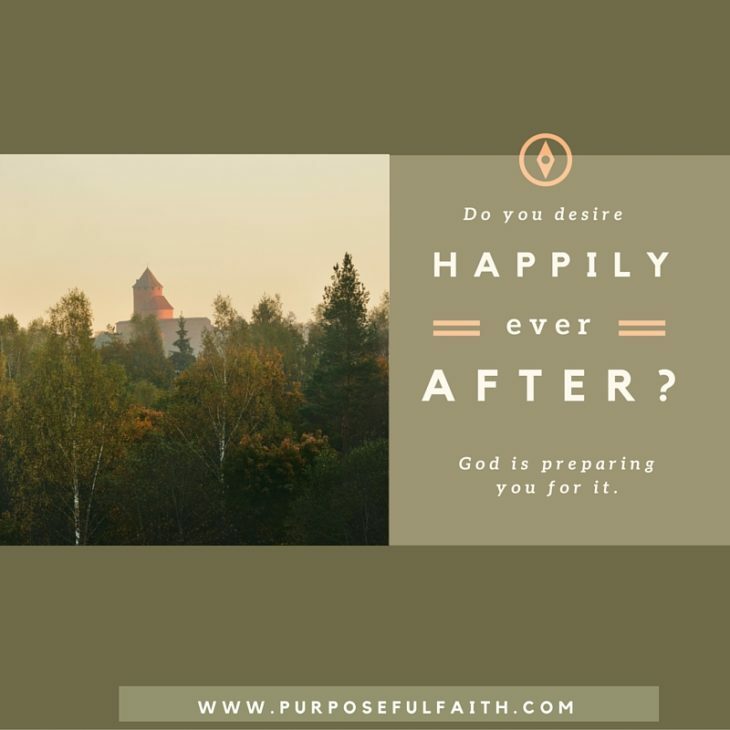 Whether it be a relationship, job or ministry… our happily ever after scenarios often lets us down. 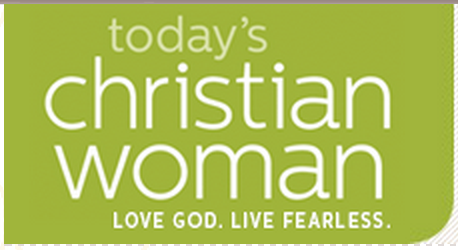 I’ll never forget the day I landed my first full-time job in women’s ministry. I thought I had arrived. 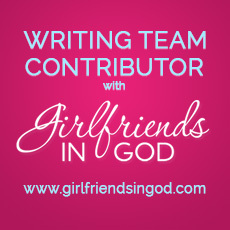 For years I had dreamed of what it would be like to work for God. My head was full of all the wonderful things I was going to do for God now that He had brought me to my palace, so to speak. Finally, someone had recognized the call of God on my life and given me a chance to make my dreams of becoming a published author and sought-after speaker come true. Needless to say, palace life has been harder than I expected. Lately, I’ve been studying the ultimate dreamer Joseph, and I’ve wondered if he too might have grappled to reconcile his expectations with his reality. Obviously, he must have been disappointed when his brothers sold him as a slave. But, I wonder what he thought when he was purchased by Potiphar, who was Pharaoh’s captain of the guard, and put in charge of his entire household. It was a lofty position for sure. Could he have thought, Someone has finally recognized my potential; I’m finally at a place where my dreams could come true? If you know Joseph’s story then you know Potiphar’s palace was only another step in his journey. It was a place where he gained valuable leadership experience learned the importance of integrity. When I consider his time at Photiphar’s palace as simply a step toward God’s ultimate calling on his life I am encouraged re-think my own palace experience. 1. It’s not our final destination: All of life is preparing us for the ultimate happy ending when we meet Jesus face to face. 3. Our reaction in the gap between expectation and reality determines our level of joy. We choose our response when life doesn’t turn out the way we expected. Joseph’s life story gives us an excellent example of how to move past our past and toward the ultimate call of God on our lives. 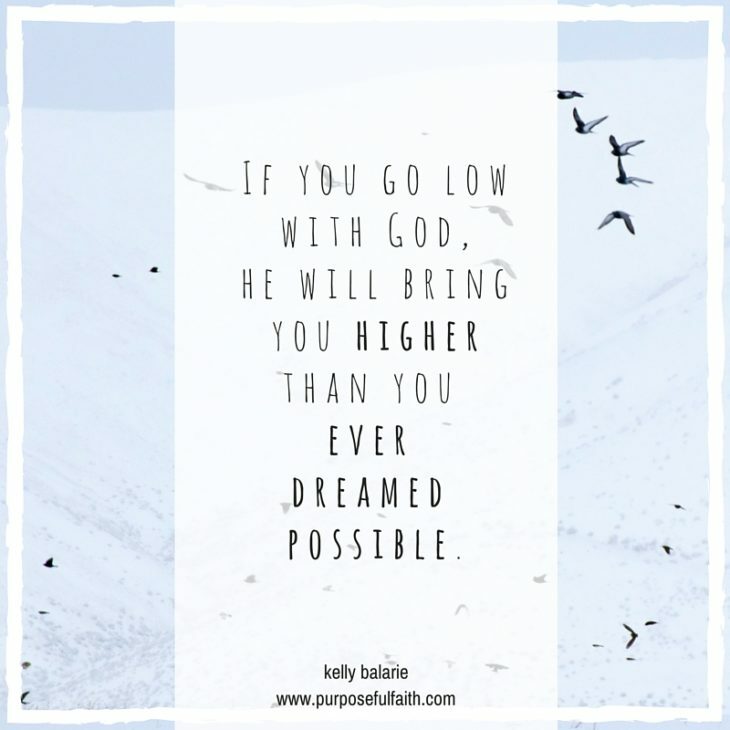 In the end Joseph considered God’s will more valuable than his own desire for success. What palace is God using to prepare you? Are you passing the tests, or has your chosen response kept you from enjoying the journey? If I’m honest, I have to admit that the gap between my expectation and my reality caught me off guard. I haven’t passed all of the tests. But today I’m determined to consider God’s will more valuable than my own desire for success. I choose joy in the midst of my circumstances and I thank God that He is still preparing me for the ultimate happy ending. 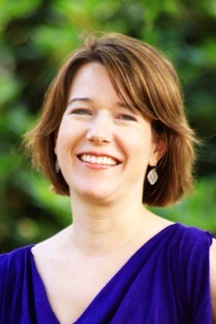 Sheree serves on staff as the Women’s Ministry Director at Fellowship Bible Church in Roswell, Georgia. 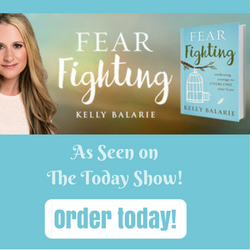 She is a Bible teacher, speaker, spiritual coach for leaders, event coordinator, writer, and mentor–and that’s just what she does for her day job! 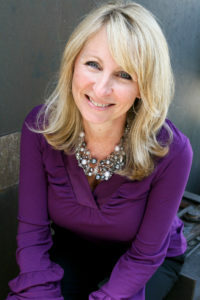 She is also a wife, the mother of three sons, and a mother-in-law to her first daughter-in-love. 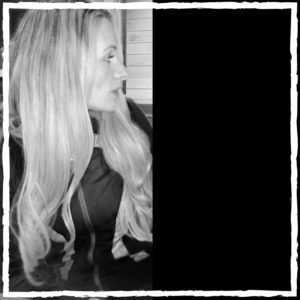 Her passion is to bring the “real” factor to everything she does. Whether she’s speaking to a large audience, writing, or mentoring, her goal is to be transparent about the struggles she faces so that others feel free to do the same. I remember as a girl, I always wanted to see over the counter. I was convinced that at the bank, there was some magical land of lollipops and rainbows beyond the reach of the counter that extended above my head. I wasn’t privy to that party. There is something about growing – about knowing that you are heading you’re supposed to be going. About letting life’s happenings naturally becoming learnings. About seeing progress. About getting a view. I feel that way with God too. I want to grow so high with God, I get a view of all his glorious riches, right beyond the barrier of my mind, will and ways. I want to get to where he is. 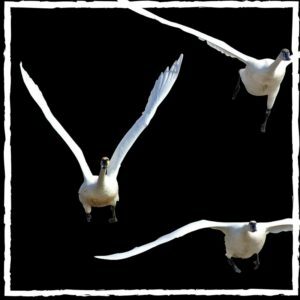 Am I stagnating or progressing with God? Am I growing or regressing? 1. 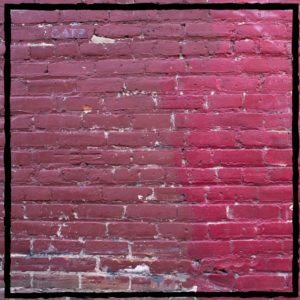 An oblivious heart – If you think you’ve got it all together, guess what?! You don’t. 2. A stubborn will – If you never confess, you will someday attest that your life feels in the boondocks and God’s gone left you. 3. 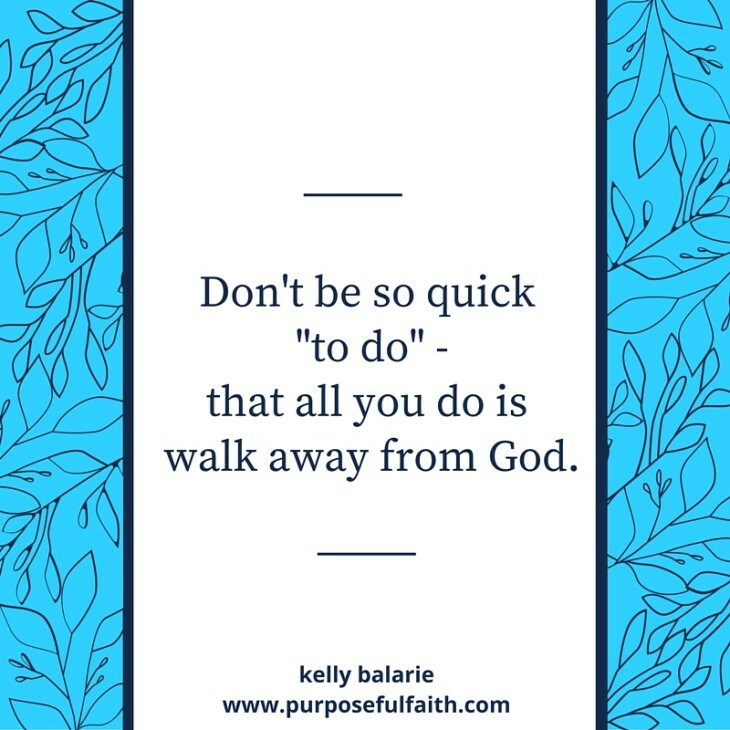 Over-working – If you get so busy doing, that you forget to see how God is loving, you will find yourself panting and out of breath with no energy left to go anywhere. 4. Self-thoughts – If you are thinking of self, you can’t be thinking of God. If you are in your ways, you can’t be in his. But, if you communing with God, you are comingling with grace. This is where growth happens. It is also called prayer. 5. Knowing what is wrong and doing it anyway – Enough said. 6. Succumbing to lies – If you let in anything but truth, you will live by lies. Who have you been listening to? 7. Getting proud – You can’t let in, him whom you don’t think you need. Now, after looking at this list, if you are anything like me, your first inclination, might be to stare in the mirror and give yourself a quick backslap for messing up so much. For doing 6 out of the above seven things. For falling so short. Shoulders slumped, you might feel that daddy doesn’t really want you anymore. This brings us back to #6, because that is a lie. God loves us. God wants us. It is for this reason he gives us these truths, these guideposts that lead us to the right way. He wants us on his trail – with him – holding his hand. He wants us in step with him. He wants connection like we do. He wants our great faith to bring us somewhere great. He is for us (Ro. 8:31). This feels like a fresh breath of air delivered like a shot to my lungs. And, just knowing this – it also feels like growth. It feels a lot like peering over the counter right into God’s face. 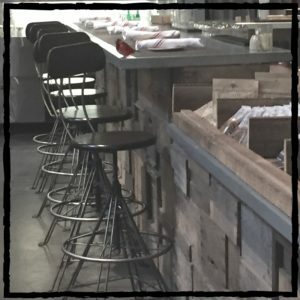 Day in and day out, I write on this blog. one is wise to go about doing the following. We all know that, right? 1. They learn things shocking about themselves or become shockingly healed. 2. They get a chance to break their selfish bones and regrow more humble. 3. They find themselves falling in love – more and more with Christ. why do I sometimes feel I am running a losing game? and all the same never gets me past my personal victory line? It sometimes feels like an endless cycle of wanting – more? Is this how God intended it to be? When I began writing, each morning, I prayed. I asked God to give me the right word for the right person at the right time. It need not reach millions, just one. I sought his heart over mattered. I worked accordingly. I listened. I expected. I believed. Little voices started to out-speak God. Other megaphones got louder, and his soft whisper got muted. Other’s progress got apparent and mine looked lousy. Other holes of insignificance and insecurity developed within me, and I demanded writing fill them. I rushed. I hurried. I doubted. I planned and agenda’d. I saw futures, perhaps, he didn’t. I told people to get close to God, when I myself, was existing not as close to God. Recognize the voice? It is called: Pharisee. Pharisee = One who talks God but walks far from God. Pharisee = One who tells others, but can’t hear himself. Pharisee = One consumed with facades and not the face of his heart. Pharisee = One driven by power, not powerlessness before the Powerful One. Pharisee = One who resembles purity on the outside, but looks like dead and flaky sin on the inside. Do you look something like a Pharisee? In work? At home? With kids? With your husband? In life? In a way we all do. Little tip: Admission and confession is the first way to stop Pharisee in its tracks. Wow! Them are hefty words! Certainly, Jesus won’t shut out believers, but we can certainly shut the door right on his face! Clearly, Christ warns – he doesn’t endorse this kind of behavior. 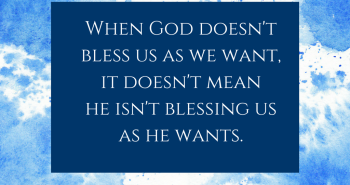 It never does, nor never will, get his stamp of approval, his blessing nor his push behind it. And, if it doesn’t have Jesus, I don’t want it, do you? Really, receive this word for a moment – If it doesn’t have Jesus, I don’t want it. Do you believe that? Live that way? Jesus stands at the door and knocks (Rev. 3:2). Will we open it and welcome him in? 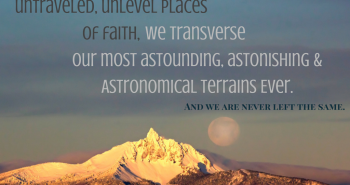 Not voices, not pressures, not demands, not schedules, not editors, not pride, not progress-climbing, not one-upping, not social climbing, not ambition – but Jesus? Love. Love in. Love poured out. Grace upon grace. Grace upon grace dispersed. Open arms. Grabbing the likes of our poor soul – others who need help. Jesus always brings wins (see number 1-3 above for reminder), when we abide in him, with him and through him in every moment of our limited moments that make up this thing called – life. Let’s not outpace the champion, for I fear, at some point, we might look back and see we ran the race as – the loser. We don’t want this. We want to live in Christ’s victory. We want to go – with Him, because he is the way. The only way. The winning way. Every. Single. Time. Let’s hold on to that. God, I am sorry. Please help me. Help me and then help me some more. You are all I need. Amen. 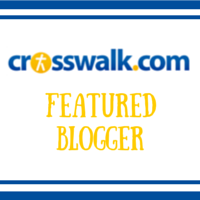 Are you a blogger? 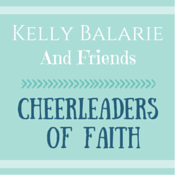 Join the Cheerleaders for Christ Facebook Page! The coach stopped me in my tracks with this soccer drill. It was meant for toddlers, but it was sent by God for me. It burst my bubble of known, it tossed out the waste of old and it rolled in eye-opening insight that would redecorate my heart with truth. Who knew soccer was so good for mental health?! My son tried to move, no dice (or rather, no goal!). He tried to inch forward, but couldn’t gain traction. He tried to kick, but his ball bounced off his companions’. He tried to run, but, the two collided like blind bulls. Boing!!! The coach would too and, together, we would breathe a sigh of relief. trying to plow your way through? yet still, you fight for tooth and nail? 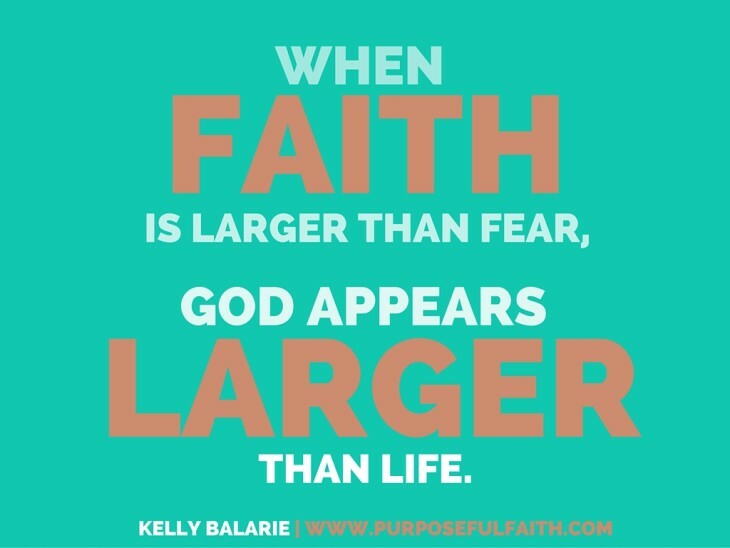 When we are so pressed against everything, we can’t enter the huge field of opportunity the Lord has set before us. We see the Promised Land, but our eyes keep us kicking around in the small perimeter of everyone else’s movements. They are set on our competition. They become obsessed with personal performance. They see each kick like an eternal report card of worth. Moves become belabored and burdensome. Get out of the box, push over the boundary and fly to the place where God is. If you’re goal is to be with him, it is a goal that can’t be blocked. It’s a goal that wins the game every time – heck, it wins the World Cup, for that matter! Run into the freedom of open air. Bask in the place of his prompting. Skip to the place of true calling. Jump to the heights of unrestrained love. Fall into the depths of incalculable peace. Sit in the field of rest. Move to the new places, no one has transversed. Win there! That is where you win! but found in the unusual, uncharted and unknown callings of him. No one ever got anywhere by kicking around in the complacent and crazy confines of controlled chaos. Just ponder. Many of the “Great Remarkables” became remarkable because they stopped caring if the world called them remarkable and they just followed God. Simple. He is speaking. Are we listening? Look at the woman at the well. She became well because she broke free from confines at the well – so her mouth could not confine her truth of liberation. She had to break out of world-made form though. Do you see this power yet? She had to trample form that told her Jews don’t talk with Samaritans. She had to push through the fact that talking women should have husbands present. She had to push away the fact that rabbis shouldn’t speak to sluts. She had to break out! To step out of the box of confines to be unconfined. What is God ready to break out on your behalf as you break out? 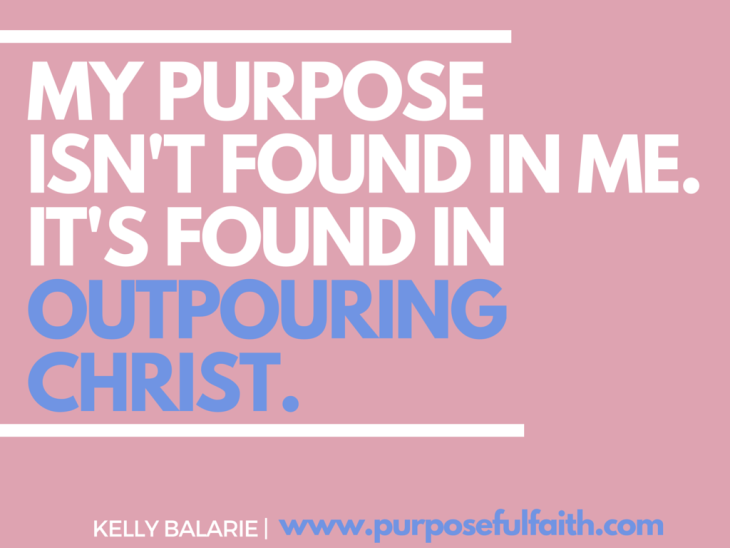 God isn’t found in the small boxes of safe, of expected, of normal, of man and of “steps for success”, he is found in the wild land of adventure, pursuit and nonconformity in him, by faith and through Christ. Break out! Today, see what holds you in and push past it in the name of Jesus. Zig and zag his way. Run arms open. 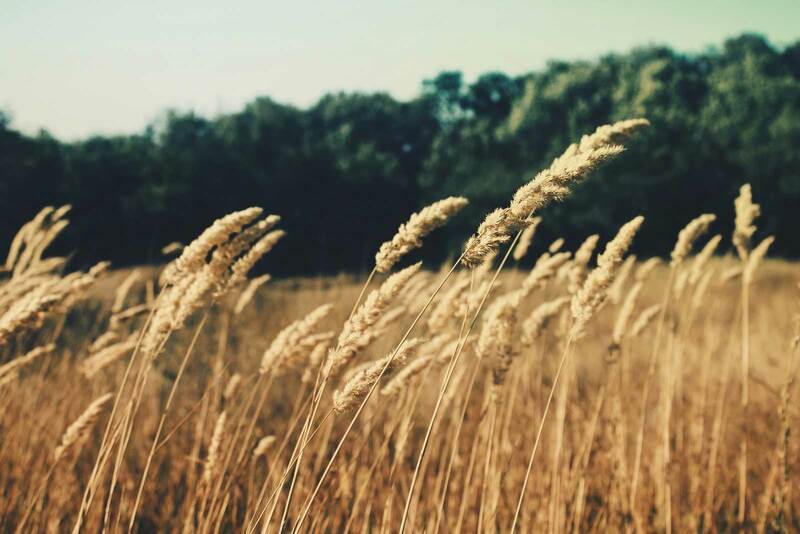 Sprint into his fields of purpose. Don’t just read this and move on, but listen and press in. Promise me that. If you don’t think this is for you, think again, it is, especially for you. What is he calling you to? My break out: I will not intentionally look at post or visitor statistics. My words are an incense being released solely on behalf of his beauty – from my heart to his, uncensored, untouched and unchangeable by man. And so they will be. And so I will go into the field of his providence, trusting. 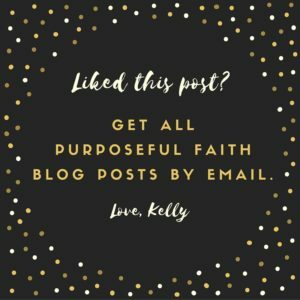 Bloggers, be a guest poster on Purposeful Faith! Submit by Nov. 16. Please copy and paste your post into my form or if you are having issues, submit the form and then I will respond back to you via my email. If you haven’t joined the “Cheerleaders for Christ” Facebook page, please do! Great encouragement is found on this page. The effort that he put into it was great. The focus he had was serious. The progress he made was tremendous. The magnetic blocks were stacked high into a sculpture of uniqueness, creativity and awe. Then, he placed the last block on the top, and a section of it crashed to the ground. My son, lost of all joy, looked at his partially destroyed tower, angry, frustrated, and dejected. He leaned back, lifted his hand up and destroyed the entire creation. How often are we just like my son? How often does a portion of our well-constructed earthly tower fall, only leaving us ready to lean back and swipe away the idea that God really cares? Add in the focus of good words. Build into saving our finances. Add the block of doing things right for God. We love what we have, the way we had it and how it was – and then, it comes down. A portion of our tower, crumbles. Why do you allow this God? Whey do you let the good fall? Didn’t you see how hard I was trying for you? Don’t you get how much this meant to me? Yet, what if we look at what stands against us differently. What if, rather than if a wall of unscalability comes before us or a falling wall of unpredictability, we still see a land of opportunity? What if we realized, the things that are falling, are just the preparation for our great calling? Think about Joshua, so many years ago. to see the beauty and to bask in what they had. They were probably so excited, eager and hungry to see the fruits of their labor. I bet they imagined greatness. But, guess what they were confronted with upon arrival? A big ole’ ugly and tall wall! A wall that was the barrier to their progress of family. A wall that would hold them back from living well financially. A wall that would not allow the sick to get help. A wall that would seem to keep relationships stuck, people frustrated and temperatures high in their hearts. A wall that could almost make them want to turn back around, say “What is the use?” and return to slavery. before barriers and broken dreams. God is ready to offer a plan, so those who will seek it. He is ready to offer instruction to those, who read his instructions. He is ready to offer a fix, to those who leave the fixing to him. God claims the victory. The walls fall. He handles the situations that look like hopeless situations to make them hopeful. but if we follow through, whether on earth or in heaven, God will win our behalf. Let us not look at gigantic barricades or the fallen towers of our life in defeat, for what God is building will be reconstructed a million times better than what our small hands could do on our own. Where is God calling you to keep the faith? March on, dear friend. For he is building something the best way, not our way. He is building character that lasts, not falls. He is creating spirits that can go the length, and not tumble at every tumbling. He is giving wisdom that lasts beyond our confronted problem, not evaporating. He is working progress into the areas of our defeat, so that he is the victor, not us. And then, joy is ours, because what we see at the end, much like my son, is that what was rebuilt with God’s help, is the best thing we really could have asked for. My son? He jumped up and down. He cheered. He loved his new creation. He celebrated, much like the Israelites probably did when they had their breakthrough. God has good stored up for you. Until then, let’s just believe – and keep marching wildly on. ***Don’t miss my post today on Sacred Ground Sticky Floors! This is a site, I just love! Today I talk about the one thing I wish people would stop saying to me. It really gets to me. I hope you enjoy it. I’ll never forget the sound. It was hundreds of pounds of files and metal crashing down on my three-year-old son but to me it sounded like one thing: disaster. The impact was followed by the shrill scream of my child. In complete panic I ran from my parents’ kitchen to see him lying there with the filing cabinet on top of him. Later, when my family discussed the mishap, my husband explained how our son didn’t need to be able to move the entire cabinet on his own. He simply had to put it off balance. Once several drawers came out, it only took a small push to send it toppling over. So often in life, I am like my son. The drawers are projects, service opportunities and responsibilities, and often I have several pulled out at the same time. My balance gets awry and I need to lighten the load, but instead I take on more. 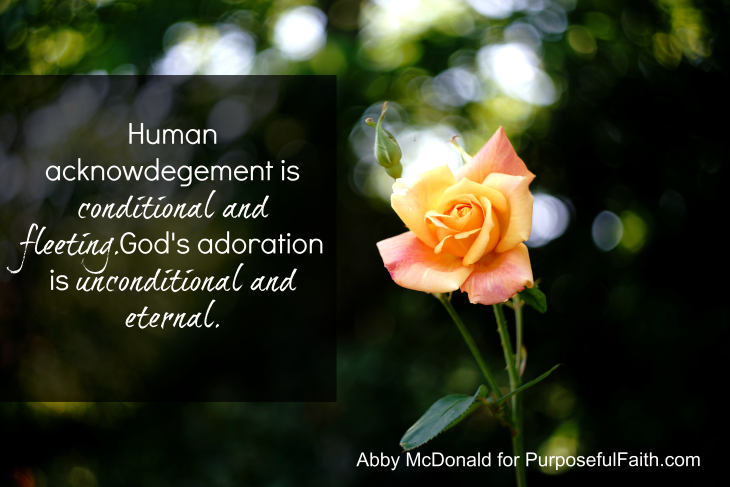 I put the desire to please others above the gentle nudges from God to rest. The longer I ignore his promptings the more irritable I become, until I am a frazzled mom and wife with little left to offer anyone other than scraps of time. Like the crashing filing cabinet, I lose all sense of stability. Instead of being intentional with my priorities, I am a mess. When I listen to the world instead of that still, small voice, I take on more assignments than I can handle. 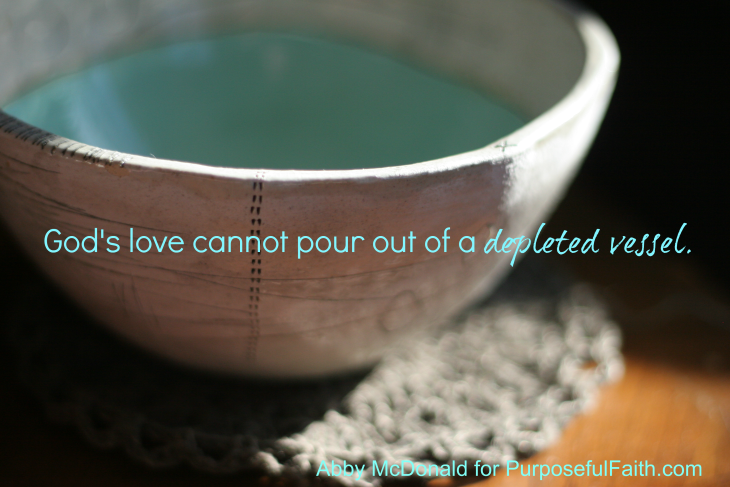 His love cannot pour out of me because I am a depleted vessel. God wants to transform our minds so we can discern what he has for us rather than heeding to every tug of those around us. He desires the best for our lives, and is glorified when we use the gifts and abilities he’s given us. Often, this means declining requests for our time so we can spend it where the he wants us to be. To this people pleaser, the hardest word to tell others is “no.” But often this is the exact word God is asking me to say. After watching my son over the next day, we were confident he was alright. I uttered praises for God’s protection in a moment which could have been devastating. The beautiful truth is that those moments when life is reeling and we lose our balance, God can still redeem our time. When we listen to his voice instead of the world’s, he can turn our mistakes into testimonies of his grace. Will you come through for me? It is easy to look at our dreams and think they are the answer to our joy. It is easy to look at another and think they have all we dreamed of – and more. It is easy to face our rejections and to let them destroy us. In many ways, we have set up our structures of hope and we have decided how they should be built. 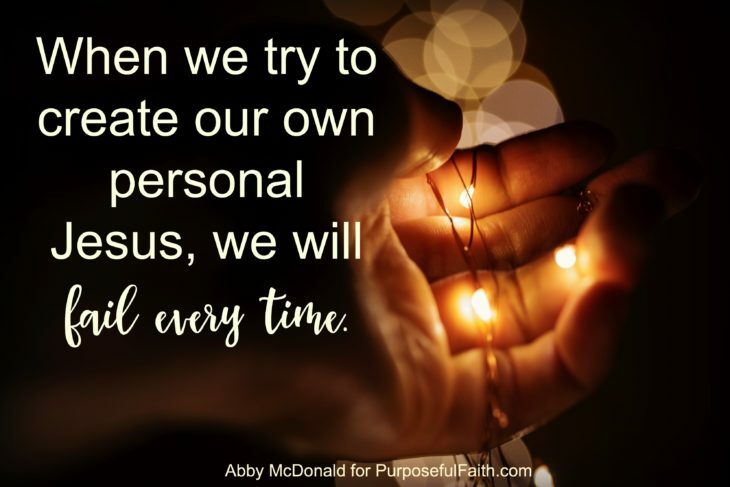 We know who needs to be involved, how we will put them together, what will make up the parts to success, but do we miss out in this process of self-promoting and self-reliance? we have erected in our mind that we can’t see? because our mind is sprinting in another direction? I miss the blessing God has sheltered in the “now”. I see that girl and decide my structure looks like a shack in a third world country. Questions become probing inquiries to steal my goods. A request becomes an opportunity for another to use me. My accomplishments become the savior of my insecurities. God is so smart; sometimes he has to protect me from me. God seems to know that the greatest gift is not found in me, but it is found in the outpouring of love found in him. your own ways and your own dreams. If it is my dream, I will make it for you. run after a heart to love. I am going to listen to the truth of these words. Will you? There are so many around. So many who need us. They hurt and wait for someone to see that tear in their eye. They hurt and hope for an arm to go around their shoulder. They hurt and dream of a helping hand. They hurt and they wait for our love. They hurt and God wants us to meet them. Much in the same way we hurt – they are hurting too. What we will see is that, often, we end up needing them more than they ever needed us. 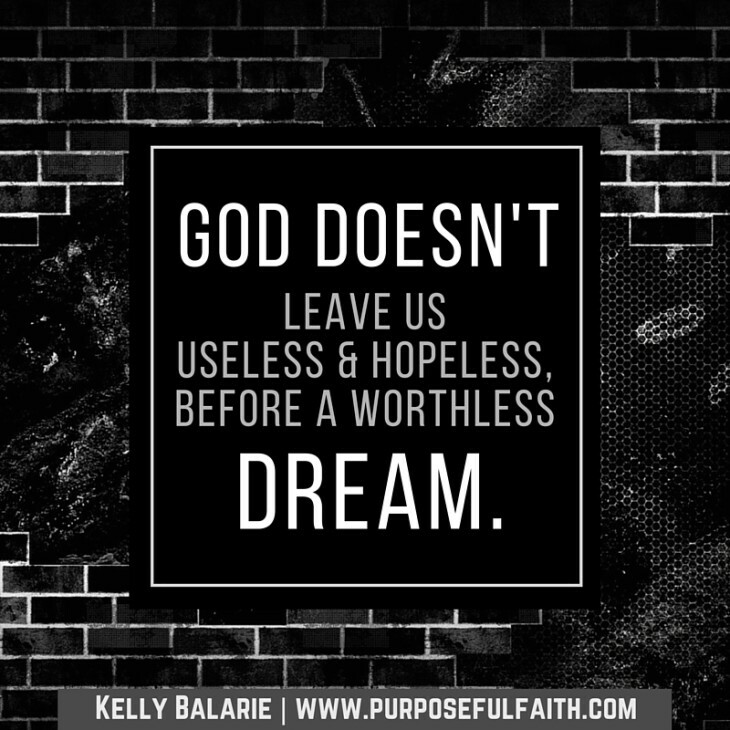 God ends up using them to shape us and form us and make us into the vehicle that brings our dreams to life. Are you a She Speaks Attendee?